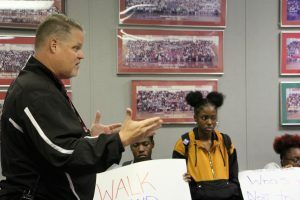 After a sudden meeting at the end of the March 21, 2019, an early release school day, teachers learned that Marjory Stoneman Douglas High School Principal Ty Thompson had been removed from his duties as the acting principal, but would remain on campus by order of Valeria Wanza, the district’s chief school performance and accountability officer and Superintendent Robert Runcie. His removal will be effective as of March 22, 2019. The teachers were also told that he was to be put under investigation, much like the other reassigned administrators were previously this school year. In November three Marjory Stoneman Douglas High School administrators, Winfred Porter, Denise Reed and Jeff Morford, and security specialist Kelvin Greenleaf were reassigned pending an investigation into the Feb. 14 shooting. Now, that investigation has grown to include Thompson. “The investigation of Thompson and three assistant principals will be completed by the end of the 2018/19 school year,” Kathy Koch, the Chief Public Information Officer of Broward County said in a March 21 press release. While he is under investigation, Thompson will be given the duty of overseeing the construction of the replacement building as well as the continued recovery of the school and its inhabitants. 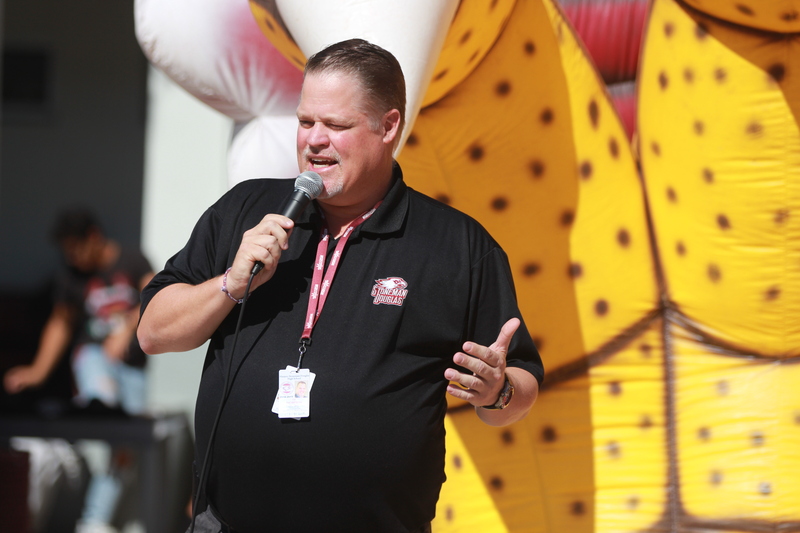 Thompson will continue to participate in MSD activities and remain a part of the school environment. His responsibilities will be taken over by Principal Teresa Hall, who has been at MSD since July 2018. Additional oversight and support will be provided by former MSD Principal Dan Traeger. Traeger is coming out of retirement in order to take on some of the responsibilities Thompson had. According to BCPS many of the teachers and staff members at MSD were hired by Traeger, and he currently gives leadership development to other principals in the Broward County school district. Once the other four administrators had been put under investigation, they were reassigned from MSD to work in district offices. However, this is not the case with Thompson. He will remain on the MSD campus to avoid further upsetting the community, as explained by Wanza. Many students and teachers were shocked by Thompsons seemingly sudden removal. During the after school meeting, social studies teacher Ray Posada was one of several teachers who stormed out. While shock ran through the faculty of MSD after the meeting, other emotions also ran high. Ever since the removal of the four administrators, there has been a sense of uneasiness amongst the staff. Now with Thompson’s removal, once again, no one knows what the “new normal” will hold. Despite the fact that he will still be seen on campus, Thompson will no longer hold any kind of power within his new position, making some teachers wary of what’s to come with new leadership. “What [Broward County Public Schools leadership] continues to do by removing/reassigning our leaders is wrong. Blame and accountability need to happen, but must begin outside of our campus. If they are true leaders, they will take responsibility for policies/decisions mandated to BCPS employees,” English teacher Sarah Lerner said in a tweet. The viewpoints surrounding Thompson’s removal vary throughout the student body. While some are glad to see him go, others are heartbroken to be losing their principal. 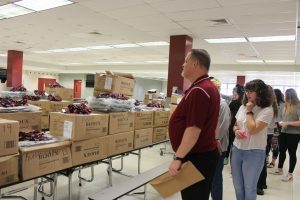 Opinions had always been mixed on how the district and school handled the reassignments of the four administrators, and this removal of Thompson is no exception. “He came into this school knowing its reputation for being open and unsafe. He chose not to improve security for four years when he had the chance… so I guess you can that I am definitely happy to see him go,” junior Alejandro Rodriguez said. Some students believed that the actions taken by the investigators and district were justified, although they were sad to see him go. Despite the mass communication amongst the school’s occupants via social media and instant messaging, many students were not yet aware that Thompson had been removed. 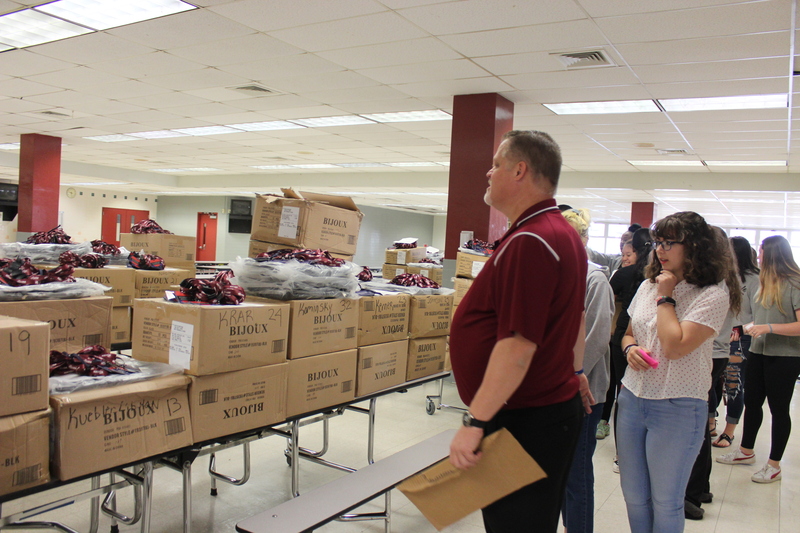 The announcement came after school on the last day for students before spring break, and many had already left for vacations. As soon as the news about Thompson’s removal spread, several of the family members of the 17 victims used their expanded Twitter platforms to voice how they felt about the principal’s new position at the school. “Ty Thompson, the Marjory Stoneman Douglas principal who allowed a former student with a violent history to walk through open gates and an unlocked building to murder 17 students and faculty in last year’s school massacre, has been removed from his position,” April Schentrup, mother of slain MSD student, Carmen Schentrup, tweeted. When living in a town that has been affected by any kind of violence, the politics of the matter are inevitably going to be addressed. Parkland has bred some of the newest advocates for gun reform and a few of the teachers feel that the push and pull of politics are at work here. In addition to publishing an article about Thompson’s removal on their website, CBS Miami conducted an interview with Ryan Petty, father of slain MSD student, Alaina Petty. 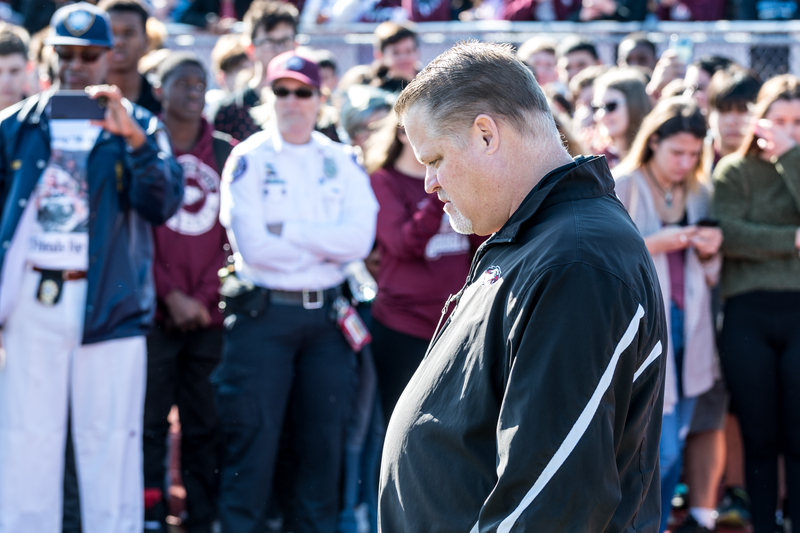 “[The MSD safety commission] did question Ty Thompson’s leadership in the days, weeks, months leading up to the tragedy. This was a principal that seemed very interested in what was going on day-to-day at his school, so I am pleased to hear that the investigation is being expanded,” Petty said in the interview. The investigation into the MSD shooting continues to be a constantly expanded issue within Broward County Public Schools, and though the inclusion of Thompson is the newest addition, it likely will not be the last.